Since 1999, Proton Products have supplied the wire and cable industry with state-of-the-art measurement, flaw detection, wire preheating and production line control solutions. Proton Products fully understands the needs of wire and cable manufacturers and applies cutting edge technologies to provide robust, accurate and easy-to-use instrumentation. 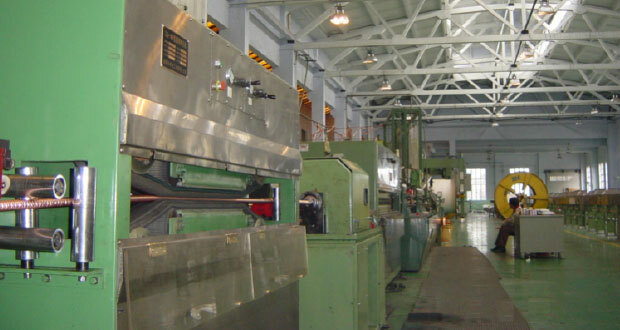 Proton Products equipment is in use in leading wire and cable factories around the world. Non-contact measurement of wire or cable speed and length. Production line speed measurement and control. Control of cutters and inkjet printers. Quality inspection rewind lines for flaw position logging. Non-contact, slip-free and low maintenance replacement for contact wheel / roller systems. Non-contact measurement of wire or cable diameters in 1, 2 or 3-axes. Diameter measurement and control for insulation extrusion lines. Detection of wire and insulation diameter errors. Multiple gauges may be used together to measure wall thickness especially in multilayered insulation applications. Measurement of cable insulation capacitance during immersion in a water cooling trough. Manufacture of capacitance critical cables such as CAT5/6 wire or coaxial cable for telecommunications and RF. Non-contact detection of lump and neck flaws along 2 or 3-axes in highest line speed applications. Wire and cable insulation extrusion and jacketing lines. Quality inspection during rewinding and coiling. Induction pre-heating of solid and stranded copper, copper-clad and aluminium wires prior to insulation. Improve insulation-to-wire adhesion especially at high line speeds. Control of insulation diameter or wall thickness on wire or cable insulation lines. Integrates seamlessly with Proton Products Diameter measurement gauges. High-voltage detection of wire insulation flaws. Flaw detection on insulation extrusion lines. High frequency or AC frequency models available depending on line speed requirements.